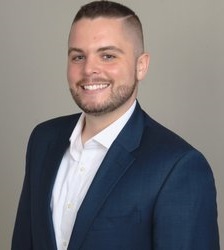 Southeast Florida Association for Psychoanalytic Psychology - Working with Sexual Orientation Issues Through a Self-Psychology Framework - Presented by: Dan Sheridan, Ph.D. Working with Sexual Orientation Issues Through a Self-Psychology Framework - Presented by: Dan Sheridan, Ph.D. The establishment of a cohesive and secure sense of self is a critical developmental task. Through the lens of Self Psychology, the selfobject needs of mirroring, idealizing, and twinship facilitate the development of this cohesive self and allow an individual to successfully interact with the world while also feeling a sense of belongingness and connection with others. For lesbian, gay, bisexual, and queer (LGBQ) people, however, the development of a cohesive self presents unique challenges not faced by heterosexual people as the selfobject needs of mirroring, idealizing, and twinship may be thwarted by experiences of discrimination, rejecting coming-out experiences or concealment, and one’s own internalized homophobia/heterosexism. Such ongoing failures of responsive selfobject experiences can result in significant emotional distress and provide a framework for understanding disproportionate rates of mental health illness and substance abuse within this community. This presentation will draw from Self Psychology principles to provide a conceptualization of LGBQ sexual orientation/identity as the emergence of self which requires the responsive selfobject needs of mirroring, idealizing, and twinship. LGBQ-specific issues of discrimination, disclosure/concealment, and internalized homophobia/heterosexism will also be included as they relate to the development of self for LGBQ people. Clinical considerations of transference/countertransference, resistance, and rupture—repair when working therapeutically with LGBQ patients will also be discussed with opportunities for sharing of clinical material. REFUNDS WILL BE PROVIDED UNTIL 2/21/2018 LESS A $10 ADMINISTRATIVE FEE.